As Warner Bros and New Line Cinema get closer to starting production on Shazam!, the studio has announced a somewhat surprising cast member — not because of the actor himself, but because of who he’ll be playing. 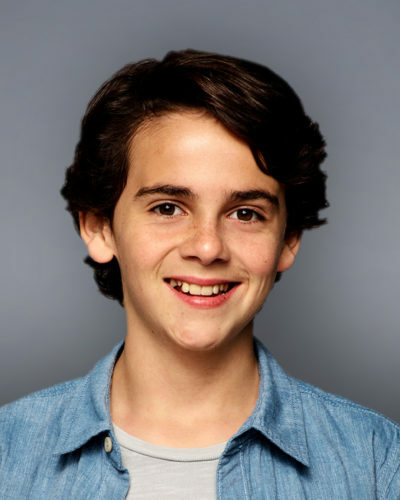 Jack Dylan Grazer, one of the many great child actors in It, has been announced as “Freddy.” Described as Billy Batson’s best friend, and the only person who knows the secret that Billy (Asher Angel) can turn into a super-powered Zachary Levi, it’s likely that Freddy is Freddy Freeman, the newsboy who became Captain Marvel, Jr. 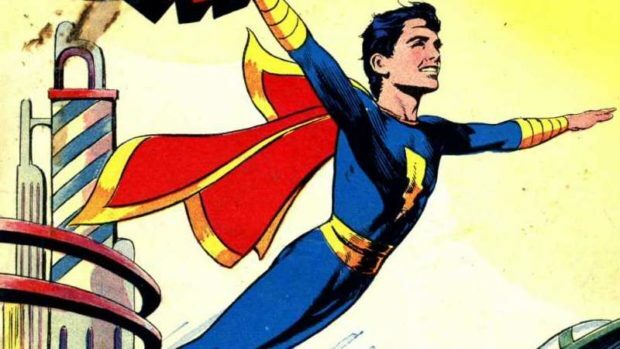 If so, that means that (wisely) screenwriters Henry Gayden and Darren Lemke have set up director David F. Sandberg to plant the seeds for a larger Shazam family. It’s not that we need to see everyone; it’s just that if Shazam! is to launch a franchise, it needs to have room for it to grow without having to become entangled in the Justice League movies. 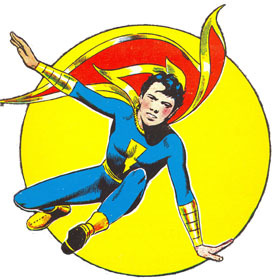 To recap, the character now know as Shazam was originally called Captain Marvel, and Shazam was the magic word he spoke to transform (that, I think, remains the same). Due to trademark lapsing after the original publisher dropped the comics, the name went to Marvel. Originally, Freddy Freeman was crippled by the villainous Captain Nazi, who also killed Freddy’s grandfather. In order to save his life, a desperate Captain Marvel carried the dying Freddy to the ancient wizard Shazam, and begged to share his power with the boy. When Freddy awakened, he said, “it’s Captain Marvel!” and was transformed into Captain Marvel, Jr. Though created by C.C. Beck, Freddy’s solo stories were drawn by Mac Raboy, in some of the finest comic book art of the 1940s. All of it could be fun, but there’s no reason to shoe-horn it into the first film. It would just be cool to see easter eggs sprinkled throughout, including, let’s hope, a part for Michael Gray. Production is set to begin in February.